Just when we thought that spring come unusually early this year- winter strikes back with snow and cold winds. 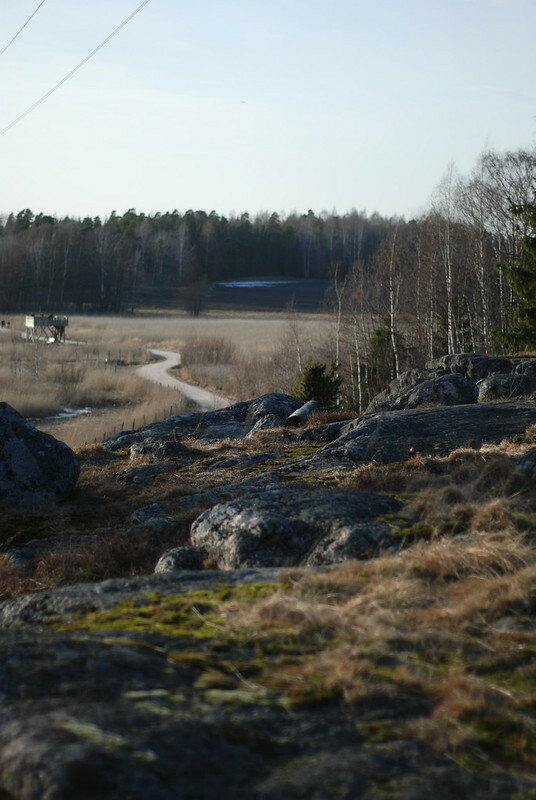 But when the spring finally comes for good, check Reittiopas, hop on the bus or better still a bike, and go to Viikki Arboretum to explore one of the most beautiful nature reserves in the city of Helsinki. Helsinki is an amazing city for many reasons. One of them is that you can find yourself in a proper forest or a farm among cows and horses just 15 minutes away by bus from the very centre of this capital city. 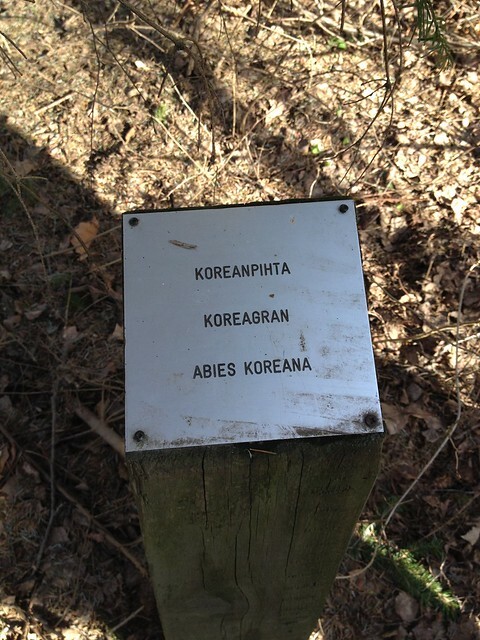 Arboretum means a botanical garden devoted to trees. 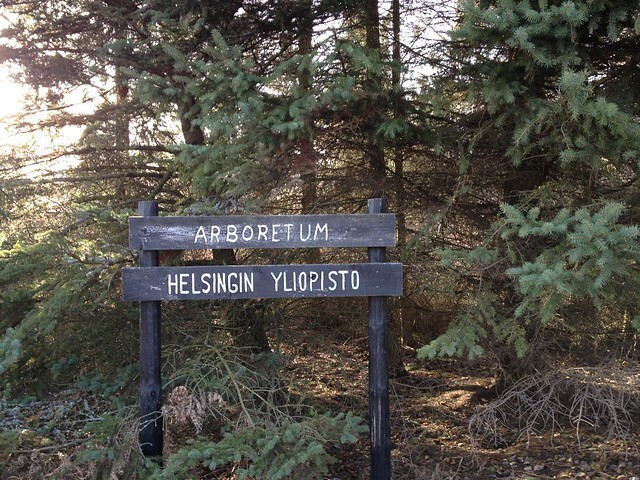 Viikki arboretum was founded more than 40 years ago for research in plants of the woods. 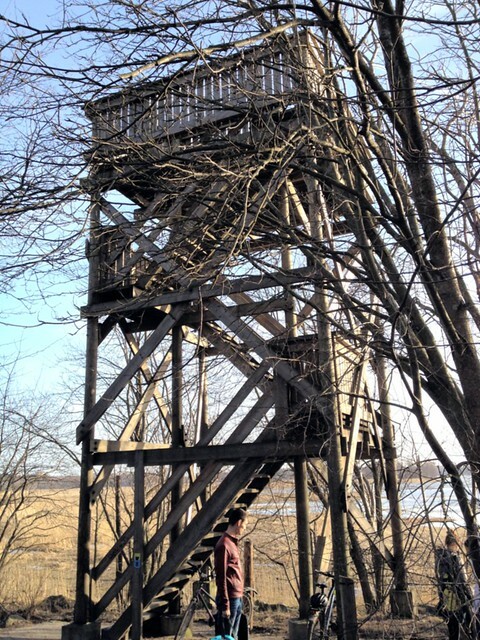 Over 300 different species of plants native and from other areas in the northern hemisphere grow here. 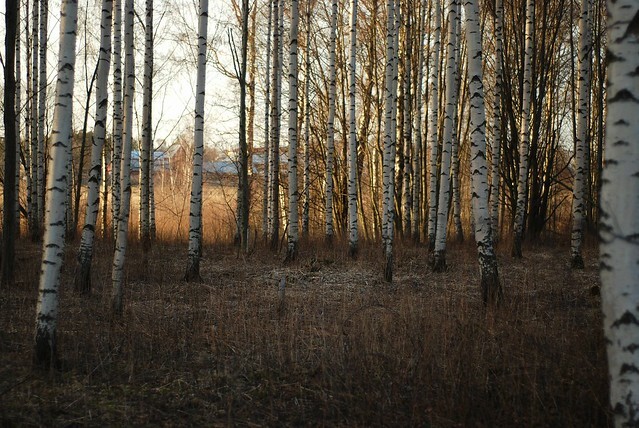 If like me, you are only able to recognize birches and pine trees, this is a great place to learn more about woody plants. 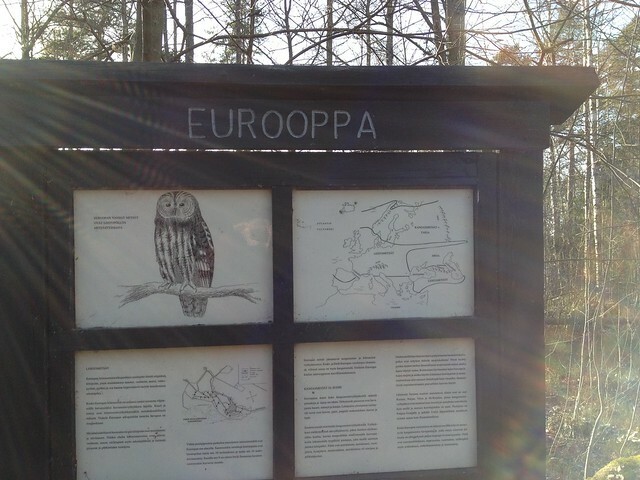 Under the trees there are small plaques with information so keep your eyes open :) And not only eyes but also ears because the park is home to a lot of different species of birds. 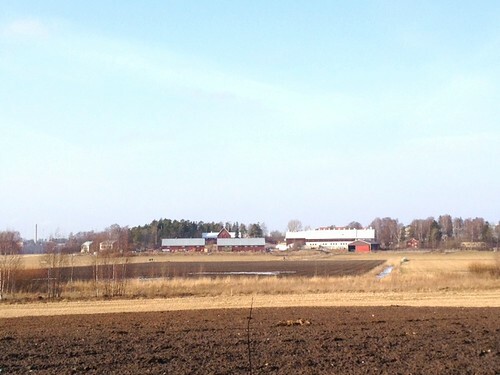 University of Helsinki experimental farming area and Veterinary Hospital are adjacent to the park and in summer there are cows gazing on the farmland. If walking in the park is still a bit too cold, go to Gardenia, a winter garden built by the City of Helsinki and the University on the border of Arboretum. Apart from the tropical garden (a nice change in this cold weather) there is a public information centre for the gardening and environmental sectors, a children’s nature school, an information centrefor the nature conservation area and a cafeteria. 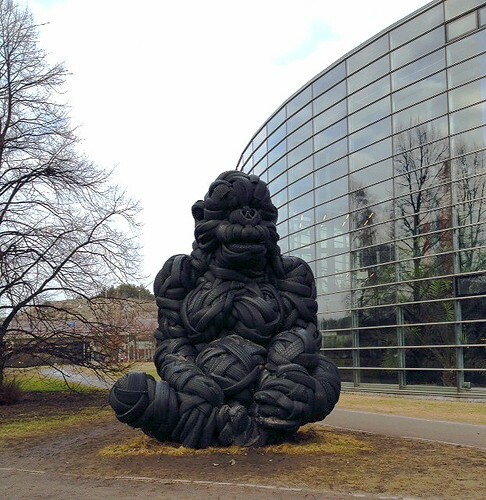 A giant gorilla made out of car tires guards the Viikki Infocentre (science and public library) and meets passengers who get off at Viikki bus stop. The name of the art work by Villu Jaanisoon is ”Everything is possible”. Do you know why this sculpture is there? Of course if people use tires as a building material for amazing art, everything is possible, but there is more to it. 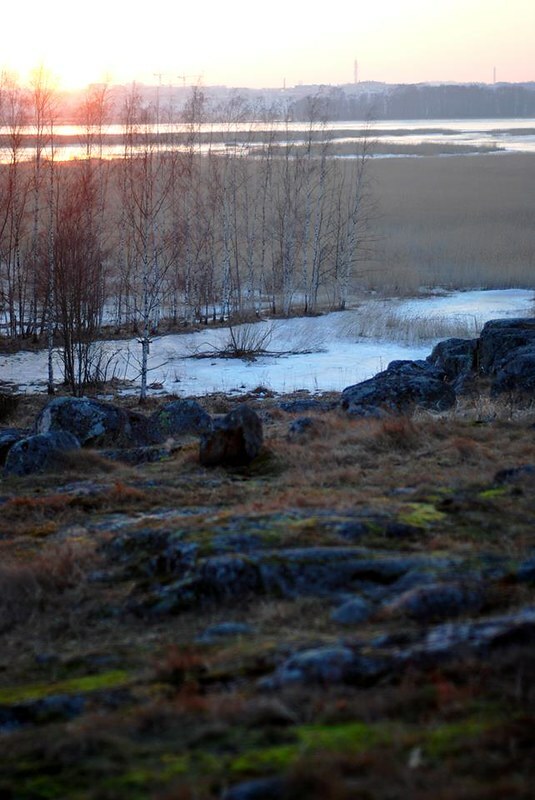 The thing is that a large part of Viikki area is Viikki Science park, Finland’s largest bioscience centre. Both, the Arboretum and the winter garden, belong to the science park . Apart from university of Helsinki faculties (Bio- sciences, Veterinary Medicine, Pharmacy and Agriculture and Forestry), it includes environmental and food institutions, Korona Infocentre (science and public library), 3 biocentres, business incubators and teaching and research facilities. 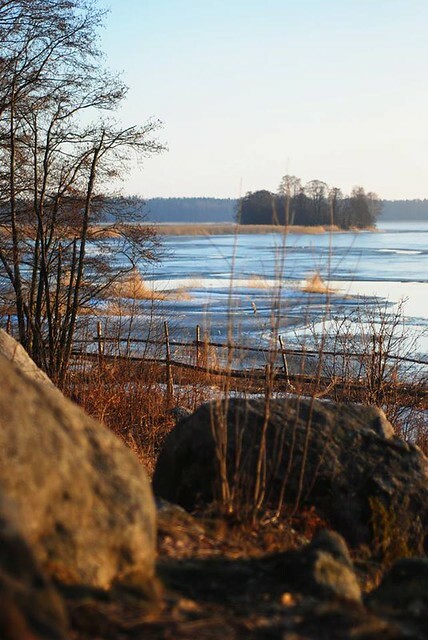 Viikki is a very interesting city district with a science centre, a nature reserve and an experimental eco-construction area of Latokartano. 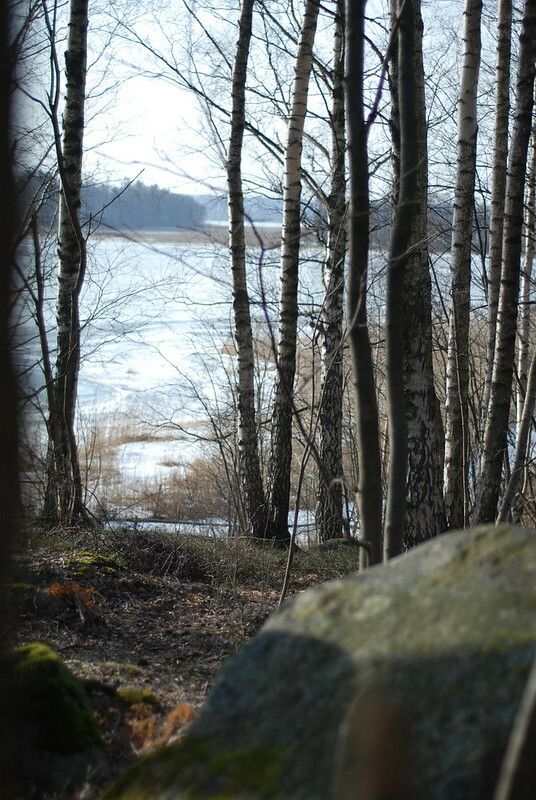 And just to encourage you to go there here are some more pictures from Viikki Arboretum. 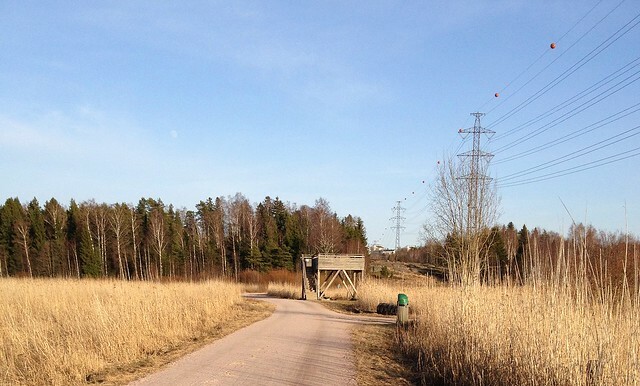 This entry was posted in Helsinki areas, Viikki and tagged Arboretum, bird watching, cycling, Gardenia Helsinki, Vanhankaupunginlahti, Viikki, Viikki Science Park, walking, winter garden. Bookmark the permalink.